In a picturesque setting, the site of the St. Lawrence Maritime Park evokes the fascinating history of the Orleans Island while offering a stunning view on the St. Lawrence River. The “Je, tu… île” exhibition and its new digital guide will transport you through the secrets of the shipyard and will tell you anecdotes from the witnesses of the past. Immerse yourself in the life of the islanders through personal accounts, informative stories, and very old photos. Discover, through a virtual reconstruction, the shipyard as it was in 1960, then led by dozens of workers and navigators. On the trail of the “Foret des lisses”, remains of a naval past not so distant, revisit the history of the shipyard’s workers and the inhabitants of the Island. These smooths, formerly used as a storage for the ships, were used to create a route full of authentic and exciting personal accounts. Visit a 19th century “Chalouperie”, considered as a patrimonial building, and become a marine worker of a day! Play wizard apprentices during a rally that will enchant children and adults and go in search of the good ingredients to prepare a magic potion! Learn how to make knots like a real sailor and how to use them on a daily basis. Enjoy a nice shady picnic area close to the St. Lawrence River and in front of a unique panorama. 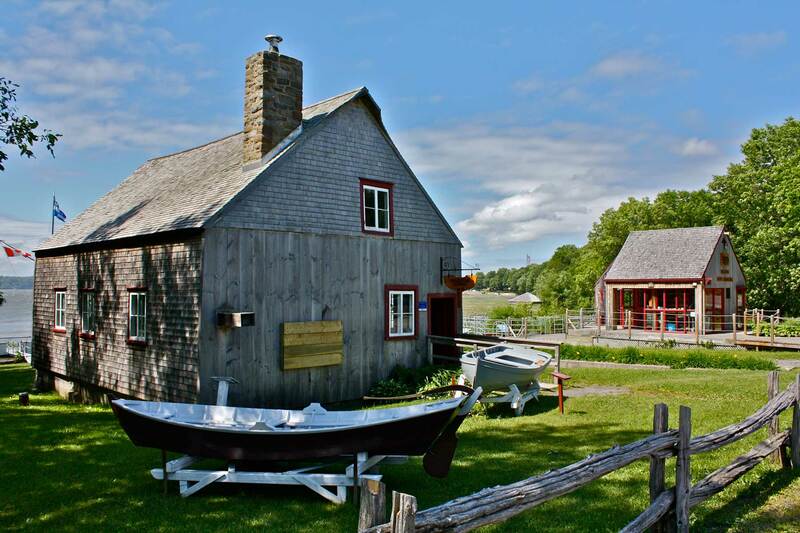 This summer, come live the insularity at the St. Lawrence Maritime Park!